Merck KGaA will partner with diagnostic platform developer ArcherDX to develop and commercialize a next generation sequencing (NGS)-based companion diagnostic (CDx) assay for an undisclosed solid tumor cancer treatment, ArcherDX said today, through a collaboration whose value was not disclosed. Under the companies’ collaboration, ArcherDX agreed to develop and seek regulatory approval for a CDx assay designed to help physicians identify patients who may benefit from treatment with an unspecified Merck KGaA drug candidate. The CDx assay will be designed to detect multiple classes of specific genomic alterations across a range of genes implicated in solid malignant neoplasms, ArcherDX said, and will be compatible with both formalin-fixed paraffin-embedded (FFPE) tissue samples and plasma specimen types. 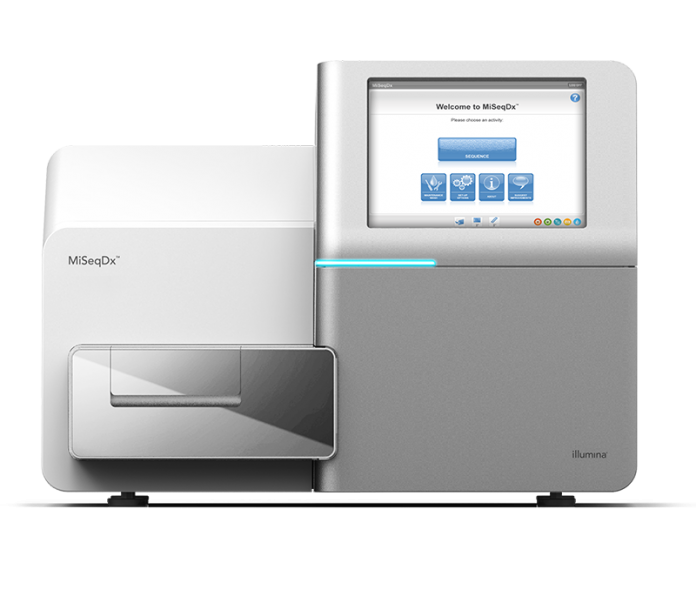 ArcherDX will develop the CDx using the Archer diagnostic platform, which combines the patented Anchored Multiplex PCR (AMP) technology with Illumina’s MiSeqDx sequencing system and Archer Analysis bioinformatics software. “The work we've engaged in with Merck KGaA, Darmstadt, Germany highlights the importance and potential of utilizing our proprietary profiling approach to make available to physicians an FDA-approved companion diagnostic solution for use with targeted therapies,” ArcherDX President and CEO Jason Myers, Ph.D., said in a statement. FusionPlex assays, designed to generate target-enriched cDNA libraries from RNA to characterize gene fusions, SNVs, indels and detect expression levels via NGS on Illumina and Thermo Fisher Scientific’s Ion Torrent platforms. VariantPlex assays, designed to generate target-enriched libraries from DNA to detect CNVs, SNVs and indels via NGS. Reveal-ctDNA kits intended to characterize gene fusions, CNVs and other variants from a single, low-input FFPE sample and liquid biopsy. The Archer Reveal ctDNA 28 Kit for Illumina is designed for NGS of circulating cell-free tumor DNA (ccfDNA/cfDNA/ctDNA) from 28 genes commonly found mutated in solid tumor type cancers, according to ArcherDX. Headquartered in Boulder, CO, ArcherDX in March completed a $35 million Series A preferred financing whose proceeds, the company said, were to be used in part for scaling its oncology-focused CDx co-development program. Other purposes for the proceeds, the company said at the time, were supporting the rapid commercial growth of its targeted sequencing assays—including expansion of its domestic salesforce—as well as increasing its international commercial operations, and continuing to invest in its in vitro diagnostic (IVD) pipeline. The financing was co-led by PBM Capital Group and Boulder Ventures—whose founder and general partner Kyle Lefkoff joined ArcherDX’s board. Longwood Fund and Peierls Foundation also participated in the Series A financing as new investors.